In recent years, Mazda has been making a name for itself as the producer of some of the most versatile and driveable vehicles on the market. While the Mazda 3 is probably the most popular Mazda on the market, there are many other excellent models tailored to a variety of different needs. Whether you’re looking for an agile car that can navigate the narrowest urban streets, an SUV that can handle the worst a Canadian winter throws at it, or a flashy sports car that will remind you of how much fun driving can be, Mazda has a vehicle for you. If you live in the Greater Toronto Area, come down toYorkdale Dufferin Mazda and discover some of the most reliable, affordable, and exciting new Mazdas of 2018. 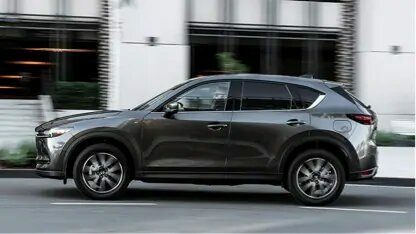 Ever since it first hit car lots in 2013, the Mazda CX5 has distinguished itself as being one of the most versatile crossover SUVs on the market. Praised for its easy, intuitive handling and excellent fuel economy, the CX5 sets an industry benchmark for what customers should expect from an SUV of its size. If you want to buy your Mazda CX5 in Toronto Yorkdale Dufferin Mazda has the most recent new and used models so you, too, can learn what makes this one of the most popular Mazdas in production. The CX9 is Mazda’s mid-size, three row SUV, and it is developing a reputation for marrying superior functionality and astonishing comfort and beauty. Equipped with state-of-the-art safety features and a SKYACTIV-G 2.5 four-cylinder Dynamic Pressure Turbo engine, the CX9 combines luxury and practicality in a way that few vehicles at this price point can compete with. Though not the most well known Mazda on the road, the Mazda 5 it is one of the most versatile vehicles of its kind. Designed to seat five and still have ample storage space, it is equally adept at long family camping trips and picking up materials for a home renovation. It can also be transformed into a small moving van by folding down the back seats. A 21st century take on the station wagon, the Mazda 5 is perfect for people who want their car to be able to do a little of everything. The Mazda 6 is a mid-sized sedan that offers plenty of passenger space without sacrificing sportiness and athletic handling. It’s one of Mazdas more underrated cars, and is available for extremely competitive prices at Yorkdale Dufferin Mazda, where you can also find a high quality used Mazda 6 for sale as well. Of all the Mazdas on the road, none quite compare to the MX5 Coupe and MX5 Convertible. Showcasing the very best of Mazda engineering, the MX5 brings together superior handling and a classic roadster lookto create a car with grace and style that is also a practical choice for day-to-day driving. Every driver has particular needs. Some are looking for a vehicle big enough to contain their lives, while others want a car that lets them feel the joy of driving. No matter what you are looking for, Mazda can deliver. For those in the Greater Toronto Area, Yorkdale Dufferin Mazda is the best place to start the search. Come see for yourself what makes Mazda one of the hottest automobiles on the Canadian market!